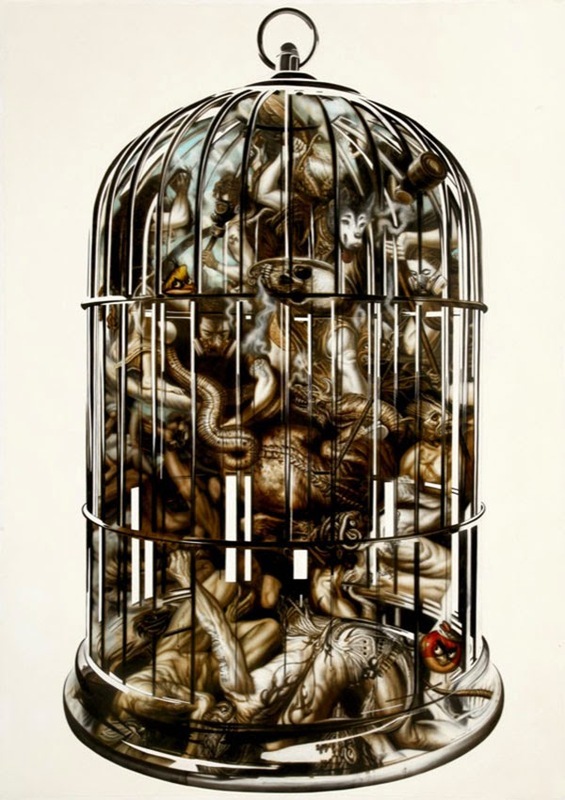 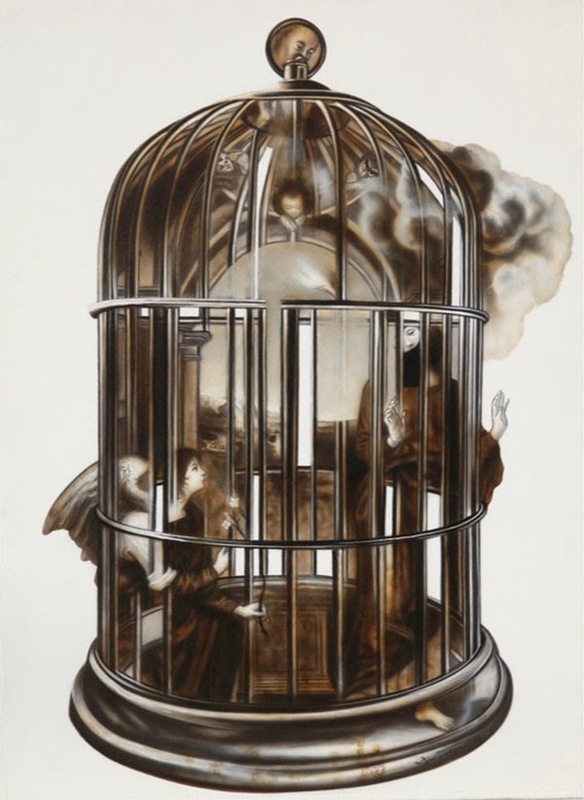 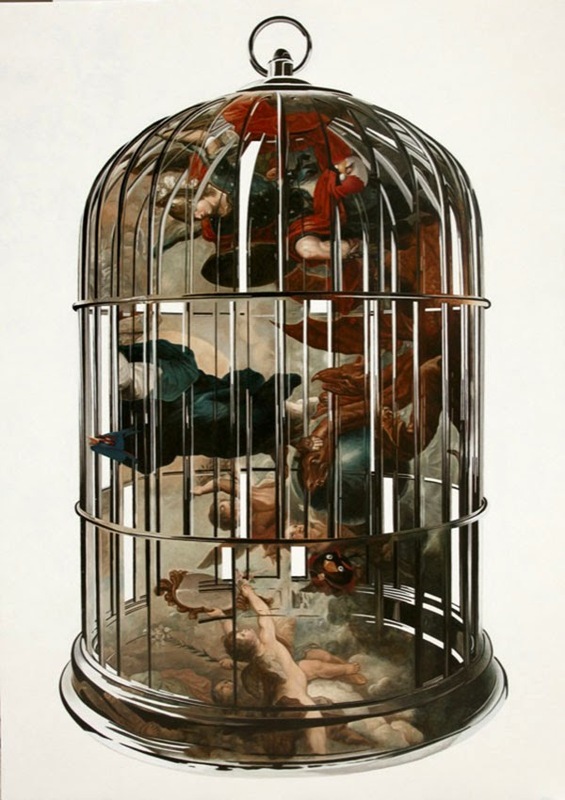 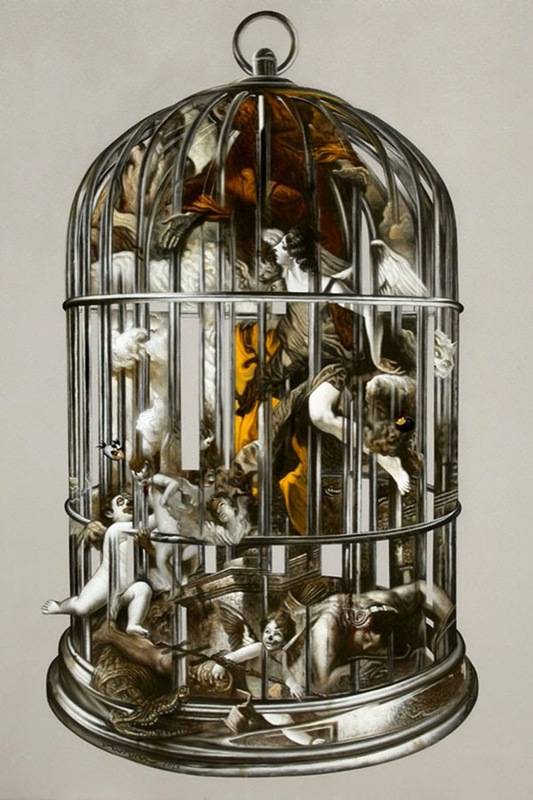 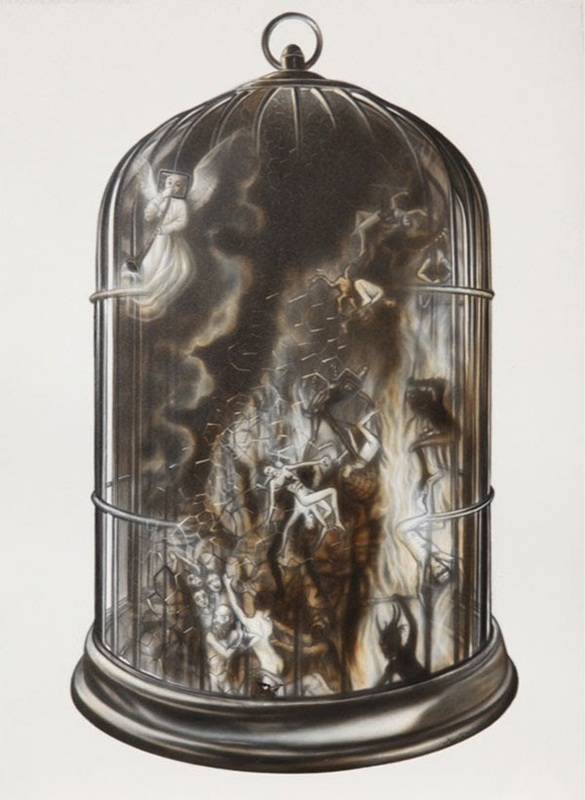 Surrealistic paintings of apocalyptic scenes contained in a bird cage. 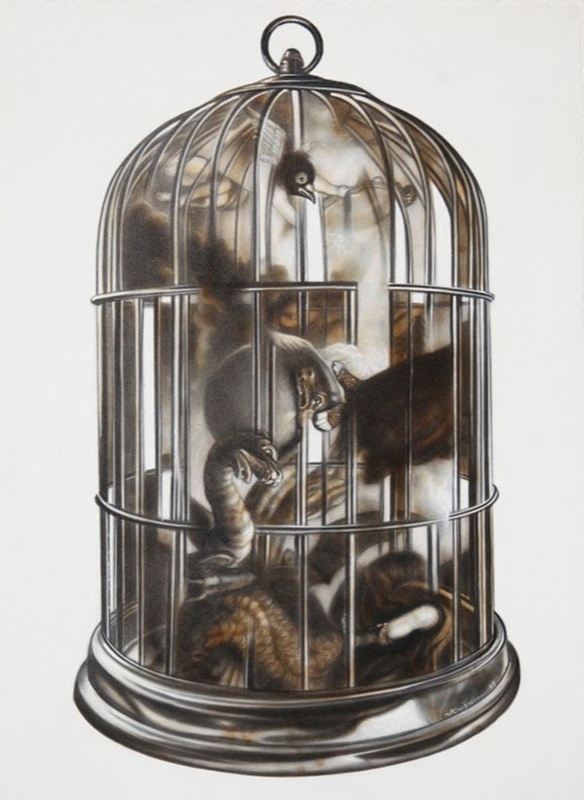 The images are culled from popular culture, eastern and western folklore, and traditional Filipino arts and crafts with references to rampant consumerism, pollution, and war. 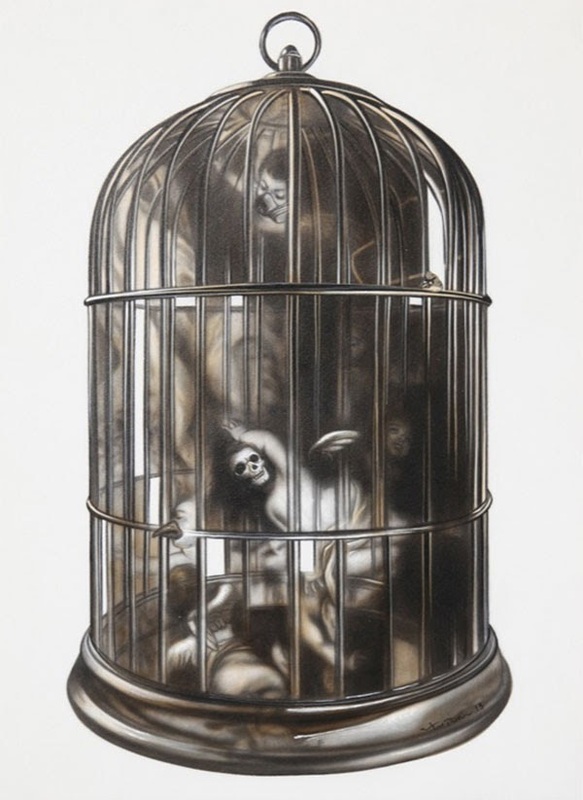 I try to do something that is inviting to draw the viewer in. 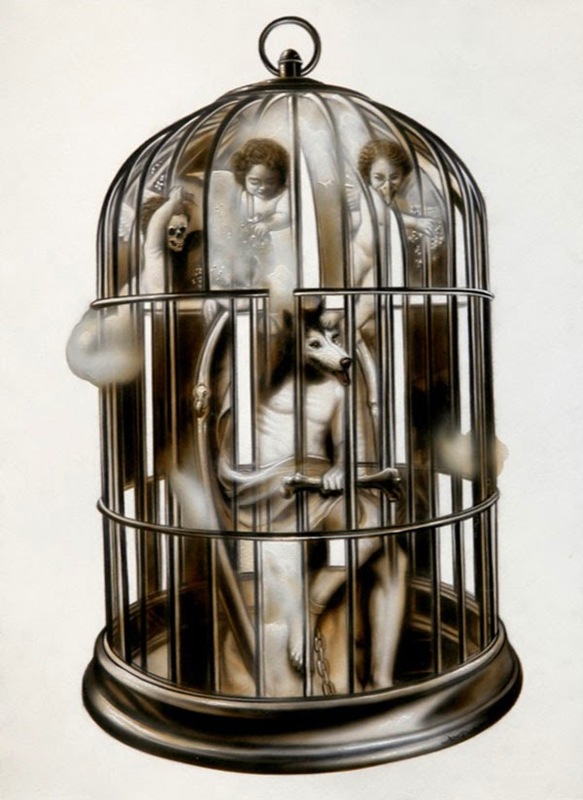 But if you look carefully, you can see something behind.